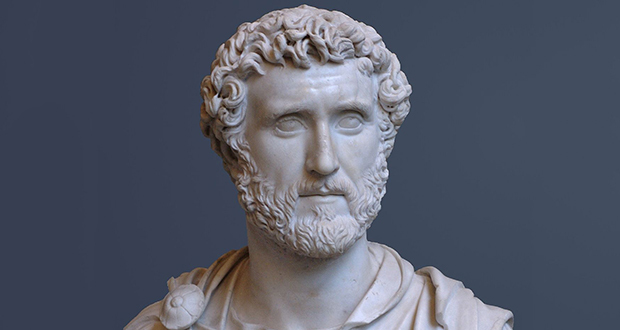 Roman Emperor Antoninus Pius (86 C.E. – 161 C.E.) had the most peaceful reign of any ruler in antiquity. There is no record of any major events or conflicts during his 23-year reign. He was a skilled administrator and was praised by his contemporaries for his effective style of governance. 2. When Julius Caesar died, he left today's equivalent of about $270 to each and every Roman citizen. 3. In 2016, two recreational divers in Israel stumbled upon a Roman shipwreck filled with bronze statues and coins featuring Constantine the Great. Estimated to be 1,600 years old, archaeologists called the discovery 'The Biggest Find in 30 Years'. 4. The ancient Romans built statues of Hannibal Barca, the Carthaginian general who crossed the Alps and almost conquered the city, in Rome itself to advertise their defeat of such a worthy adversary. 5. Roman Emperor Pertinax was murdered by his own imperial bodyguards so that they could auction off the empire to the highest bidder. Romans used to call Christians atheists because they didn't pay tribute to their Gods. 7. Claudius, a Roman from a noble family, had severe disabilities and survived the assassination of his family because nobody thought he was a threat. Claudius became the Emperor after the death of Caligula, began the conquest of Britain, and is widely regarded as a great ruler of Ancient Rome. 8. Roman Emperor Augustus witnessed a man attempt to feed a slave to lamprey eels as a punishment for breaking a cup. Augustus freed the slave and had the rest of the man's cups broken. 9. Claudius was one of the first 15 Roman emperors to not take a male lover. Others considered him strange for only being attracted to women. 10. When Julius Caesar had Cato the Younger removed from the Senate for going against him, many other senators left as well. When Caesar asked one why he was leaving, the Senator said he'd rather be in jail with Cato than in the Senate with Caesar. When Roman Emperor Nero's wife died, he found a boy (Sporus) who looked just like his wife, had his testicles removed and made him appear in public with him as his wife. 12. After the fall of the Roman Empire, the technology to make concrete was lost for 1000 years. 13. Julius Caesar was kidnapped by pirates, who demanded 20 talents of silver for his freedom, however, Caesar told them to ask for 50. When the ransom was paid and he was released, Caesar raised a fleet, pursued and eventually captured the pirates and had them crucified. 14. The Roman Pantheon, built in 118 A.D., is still the largest unreinforced concrete dome in the world. 15. A Roman legionary recruit trained by regularly marching for 18 miles in 5 hours and then speed marching for 21 miles in 5 hours in a single day, all while carrying a backpack of 45 pounds and armor of 20 pounds. January is named after Janus, the Roman God of two faces, one that looks back to the past and the other that looks forward to the future. 17. A Roman soldier once farted, which caused a riot and led to the deaths of 10,000 people. 18. The word cereal comes from the Roman goddess Ceres, and her association with edible grains. 19. A Roman politician named Tiberius Gracchus and over 300 of his supporters were beaten to death with clubs by the Roman Senate for trying to redistribute land to the poor that was illegally acquired by the wealthy landowners. 20. As Ottoman cannons breached the once-mighty Theodosian Walls of Constantinople, Constantine XI Palaiologos, the last Roman Emperor, donned the appearance of a common soldier and led his remaining men to one last valiant charge in the name of Rome and their home. When Julius Caesar landed in Africa, he tripped and fell on his face. This would have been considered a fatal omen by his army, but instead, he shouted: "Africa, I have tight hold of you!". The expedition proved to be a success. 22. Julius Caesar and Cleopatra had a child together name Caesarion, which translates to "Little Caesar". 23. A Roman politician named Lucius Quinctius Cincinnatus was twice given near-absolute authority over the Roman Republic and he gave it up twice. 24. Julius Caesar's body was the subject of the earliest known recorded autopsy. Of the 23 stab wounds recorded, only one was potentially fatal on its own. The physician ruled his death due "mostly to blood loss." The Holy Roman Empire was not the same as the Roman Empire. Oh! Thank you for pointing it out. I didn’t know that. We have changed those two facts. Julius Ceasar discovered the Giraffe? Boy, those Romans really knew how to pump themselves up didn’t they. #fraud.